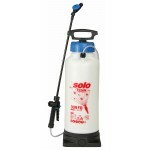 The handheld CLEANLine foam sprayer 309-FB is equipped with the new patented foam adjustment device varioFOAM: This clever innovation removes the danger of potential contact with the spray medium during nozzle interchanges. The handheld CLEANLine foam sprayer 309-FB is equipped with the new patented foam adjustment device varioFOAM: This clever innovation removes the danger of potential contact with the spray medium during nozzle interchanges. 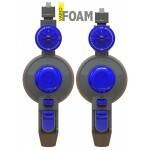 Instead, the foam quality is adjusted with a large, easy to use adjustment wheel. With EPDM seals for the use of alkaline (basic) solutions within the pH-scale of 7-14. Alcohols and bases do not cause any problems with that type of material. 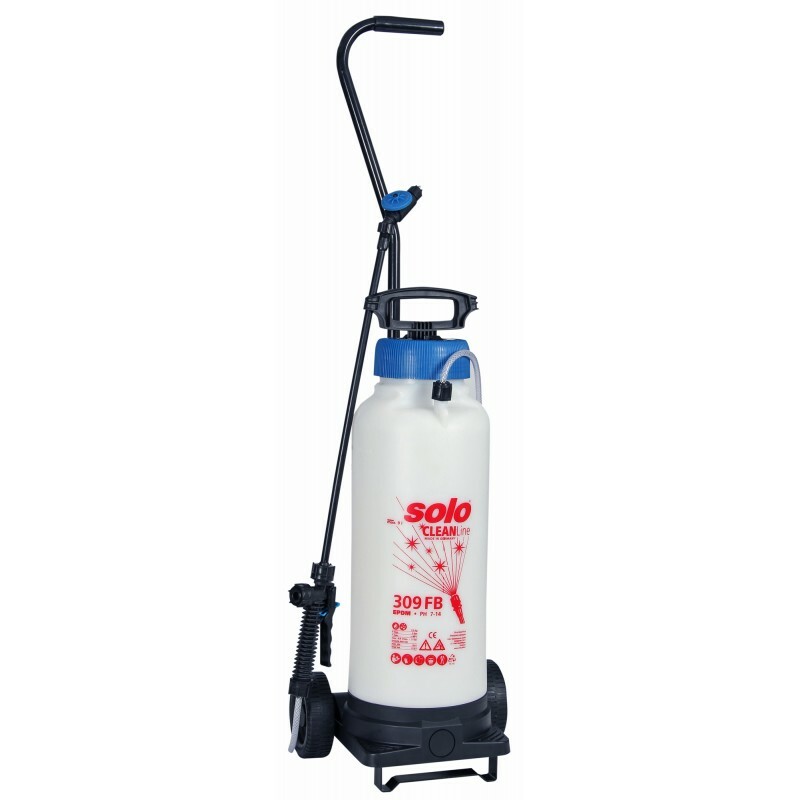 It offers a capacity of 9 l and a max. 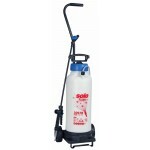 spray pressure of 3 bar. Optional accessories for 309 FB: Wheelset with handle bar and spacer. 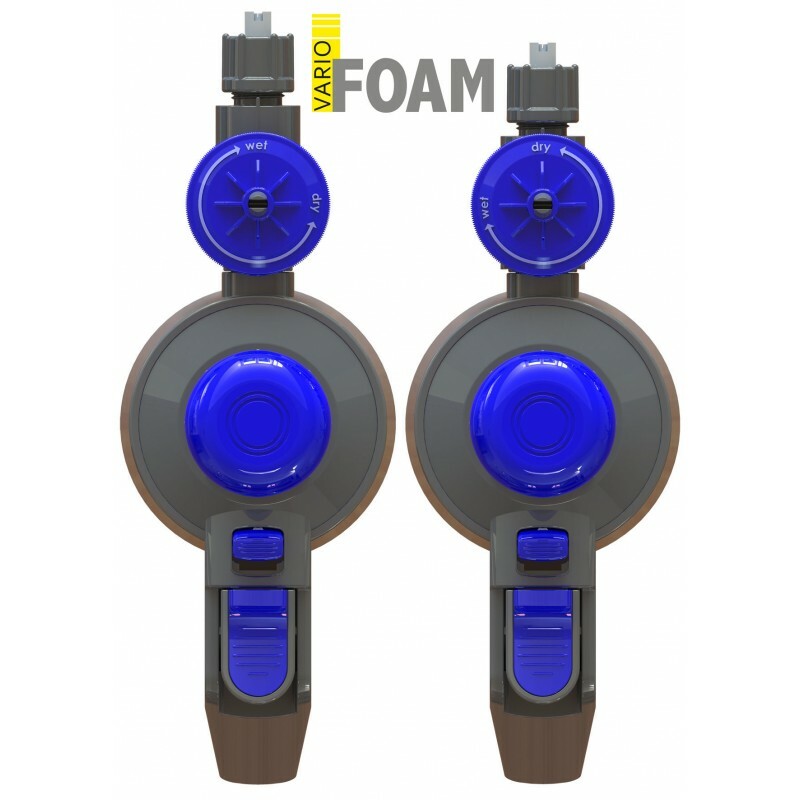 Thus, the Foamer is comfortable to move and can be safely placed on the stand.